*School Holidays so Tue and Thu am only. A weekly session for 2-5 year olds & their grown ups to enjoy crafts, games & stories inspired by the museums fabulous collections. Free. 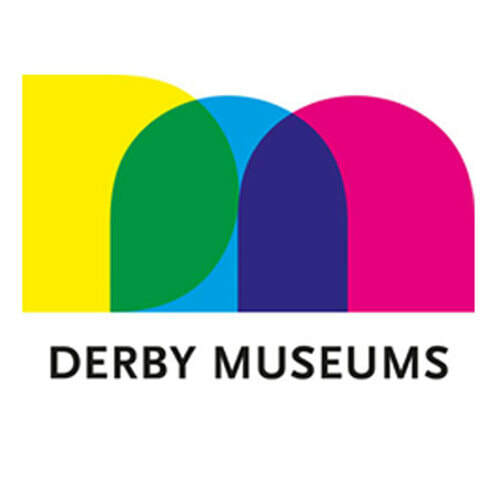 17 May - What do Museums Do? Bluebell Dairy welcome ‘Tricksy the T Rex’ and ‘Blue the Velociraptor’ to the Farm. Are you brave enough to come face to face with these pre-historic beasts?! Watch out for those sharp teeth and claws though!! Baby Dino petting session plus a chance to meet some of the smaller and cuter Dinos on the Jurassic Farm. Embrace your inner archaeologist and delve into the GIANT fossil zone on the ‘Dino Dig’ where you can discover pre historic Dinosaur fossils! Join us for a fantastic, fun-filled family show where you can discover what’s on for your little ones in and around Derby. It’s our 10th birthday and we’re celebrating by bringing our show to the very heart of Derby; with Rey & a Jedi Knight from Star Wars, Buzz Lightyear, toddler inflatable fun, activity sessions, make and do crafts, entertainment, rides, freebies, demo’s and so much more. All for families with bumps, babies, toddlers and pre-schoolers aged bump to fi ve years old. We’ll have lots of stalls for you to enjoy, bringing you the best that Derbyshire has to offer parents, from education, photographers, baby & toddler classes, gifts, clothing, maternity, advice & support, health & fitness, entertainment, parties and more. There’s even a pop up changing & feeding room! Don’t miss our super-sized, super fun family day out… It’s how to survive from Bump to Five! Brought to you by Lots for Tots Sponsored by Old Vicarage School, Derby. This free sensory exploration of Science, Technology, Engineering, Art & Maths is for 2-5yr olds & their grown-ups to experience together. Maypole dancing, dog show, welly wanging, cafe, face painting, stalls & games. Mickleover Cricket Club, Station Road. Fairground Rides & Inflatables, BBQ plus much more! Adults £1, U16s 50p, £1 to park. No Dogs. Belper Woollen Woods is a Community Art Event (part of Belper Arts Festival). ​Taking place in The Parks Wood - an event everyone can be part of. Good choice of stalls to browse. Old Vicarage School, Darley Abbey. Some well-loved books have been hidden around the Museum by the curator, but can you solve the clues to find them all? Free. Suitable for families. Come and join the yummy fun at Three Bears Holiday Clubs! Free crafts & activities Tuesday to Thursday 11am to 3pm. Friday - Bug handling sessions, (Pre-booking essential). Sports skills and fun activities for children aged 3.5-8 years. £15 for half a day. Exploring our favourite books. Bring yours along to the Museum to share with others and inspire some imaginative storybook crafts. Free. Suitable for children 5+.